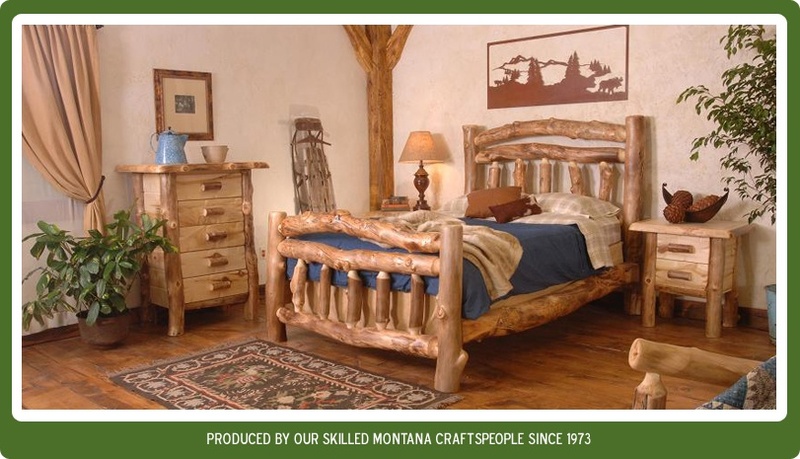 Since 1973, Frontier Log Furniture of Montana has been satisfying customers, while maintaining our market dominance by never compromising standards of design, quality of materials, or craftsmanship. 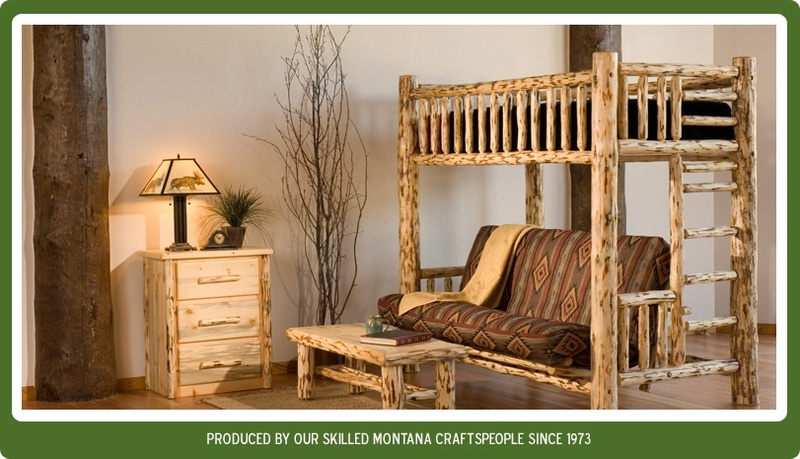 With a great variety of rustic log furniture products available, Frontier's time tested construction techniques, skip-peeled natural log character and reliable delivery schedule, have made Frontier the log furniture industry leader. 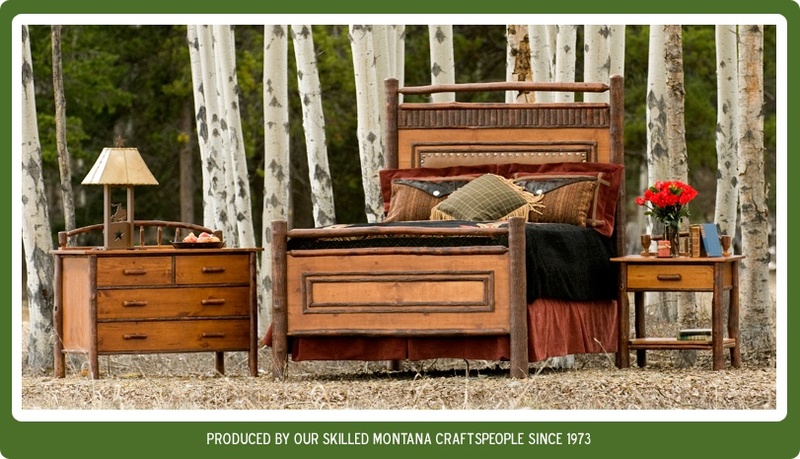 Frontier offers a huge selection of Log Beds, Log Bunk Beds and a complete line of Log Bedroom Furniture. Additionally, we can customize any order to fit your log furniture needs for the bedroom, Dining Room, Living Room, rustic Office or any room in your home. 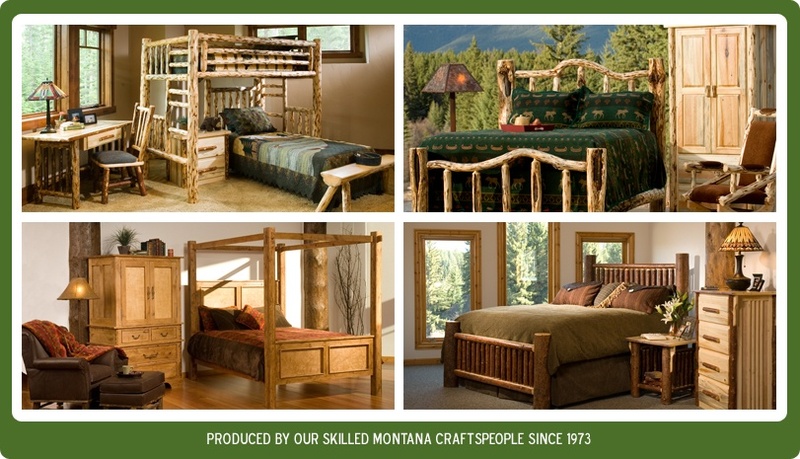 Frontier is also an Authorized Dealer for rustic lighting and decor to complete your lodge furnishing needs. Below are images of some of our most popular rustic log furniture and other cabin furniture items. 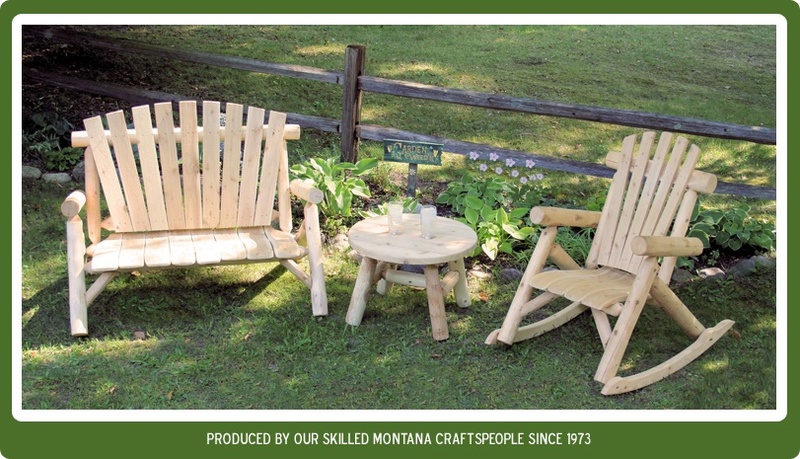 We have the ability to customize almost any of our pine log furniture products, as our Montana Made furniture is built piece by piece under the watchful eye of our skilled crew. For over 35 years we have built quality durable log furniture for homes, cabins and many commercial projects from hunting lodges and ski resorts to hotels and National Parks. 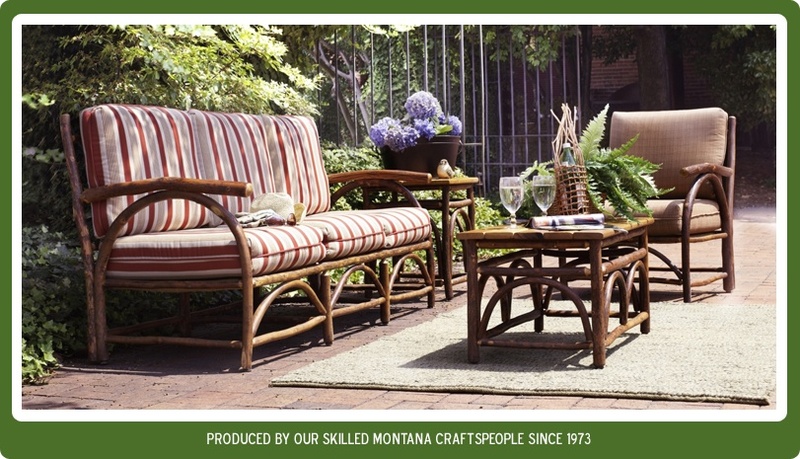 See why we are the preferred source for rustic log furniture in the USA and Canada. Copyright © 1973 - 2012 · Frontier Log Furntiure · All Rights Reserved.